Prior to the start of football season, I wrote a season preview for the Deacons on what I thought would happen over this season. Now, following the final game of the regular season, we will look back over a roller coaster of a year. Who could have predicted that we would have three game-ready quarterbacks in freshman Sam Hartman, redshirt sophomore Jamie Newman and redshirt junior Kendall Hinton? Hartman consistently ranked towards the top of freshman quarterbacks in the whole country. Even though he dealt with some rookie mistakes on occasion, he was a very capable leader of the offense and will be in the future. Since his injury, Newman has not sputtered, other than some issues in the Pitt game, in the face of adversity. I saw a tweet yesterday that showed Newman ranked second overall with a 134.2 passer rating on third and fourth down throws. He was sandwiched between two Heisman candidates, Tua Tagovailoa and Kyler Murray, in those statistics. 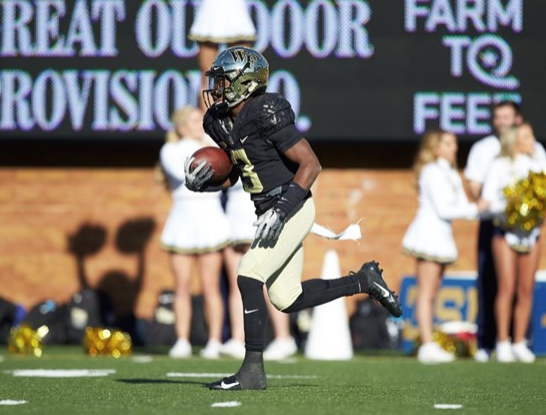 In my preview, I predicted that the Deacs would become bowl-eligible with a few games to spare, which evidently did not occur; however, I never could have imagined the sheer amount of injuries that the team would sustain this year. The statistic that most illustrates this is the fact that there are seven scholarship linebackers and five of them were lost for the season early on. That’s absolutely absurd and makes the defensive efforts look all the more impressive. We also saw the firing of Defensive Coordinator Jay Sawvel after the huge loss against Notre Dame. Since then, the defense has continued to improve, seen hugely in the wins against NC State and Duke. The splitting of duties between Lyle Hemphill and Dave Cohen seems to be working well, and those positions were just finalized with promotions for the two given their good work. We lost some games I had expected us to win, yet came back huge against other rivals on the road. The Duke and NC State games looked pretty formidable to me at the start of the year, but we got those victories in thrilling fashion. Tulane, Towson and Rice were winnable as expected, yet the Tulane game coming down to the wire was not something I had predicted. I just saw that the Green Wave are now bowl-eligible, so maybe it was a better team than I had originally predicted. Regardless, we got those wins early on to keep the train rolling. The Louisville game was also one I was not expecting. I don’t think anyone expected the Cardinals to be that bad, even though they had just lost Lamar Jackson. That squad saw the firing of Bobby Petrino partway through the year and a brutal loss to the Deacs, as well as most teams in the ACC. One big question going into the season was at the kicker position. Coming into the first game, freshman Nick Sciba emerged victorious. He has been stout this year after missing a few field goals in the beginning of the year. That’s been the last thing in anyone’s minds, as he is now 16-for-19 on field goals on the year and a perfect 46-for-46 on PATS. He has amassed 94 points over the year thus far, which is fifth in the ACC and tied for 5th-best in a single season in Wake Forest history. Definitely more than one could ask for out of a rookie kicker. Going to three consecutive bowl games has only happened one other time in history, from 2006 to 2008, with an ACC championship in 2006 in that span. For a year riddled with injuries, the fact that Clawson was able to bring this team to another bowl game is a huge testament to the “next man up” mentality of this team as well as stellar coaching and recruiting in producing plentiful players that could make an impact when needed. Looking at the numbers, this year was similarly successful in production to last year but seemed to feel must more stressful for fans. This year’s team has scored 390 points prior to the bowl game, and last year’s team finished with 459 points after a ridiculously high-scoring bowl game affair. The team lost to Louisville in the Orange Bowl in 2008, so if the Deacons can win their bowl game this year, then it will be the first time in program history to win three consecutive bowl games. This crazy season will be one that goes down in history.